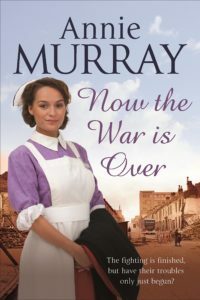 Now The War Is Over by Annie Murray is a fabulous historical novel continuing on from where War Babies left off. It can be read as a stand-alone though. Covering the years 1951-1962 in Birmingham, the book’s focus is on Melly who is nine in 1951. We experience life from her viewpoint. She is the same caring child she always was. A very likable and lovable character. The world is moving into the modern age. The reader witnesses the social change. Inner city back to backs are abandoned for the more leafy suburbs and a semi detached. As the housing fell into disrepair so this is mirrored by community life which fractured in the suburbs as life was more isolated from ones neighbours. The NHS began in 1948 and with it came health visitors and an improved attitude towards the disabled. Special schools were beginning to cope with complex needs. Tommy, a child with cerebral palsy is told “You don’t need to be on your own any longer.” Previously Tommy preferred to be hidden away as he was treated abominably by both children and adults. People are still suffering from World War II. Some husbands never returned. Those who did bore scars, some invisible. “The war took my man from me, chewed him up, spat him out … my husband came back, like a ghost.”Families suffered but there was love and loyalty. Shell shock was little understood and there was very little help. Dreams begun in childhood begin to be realised. Childhood crushes put aside, would they ever be reignited? Some characters really lodge in your heart. For me, it was Melly and Tommy. I loved their sibling bond and her huge heart. The prejudice and ignorance directed towards Tommy broke my heart. 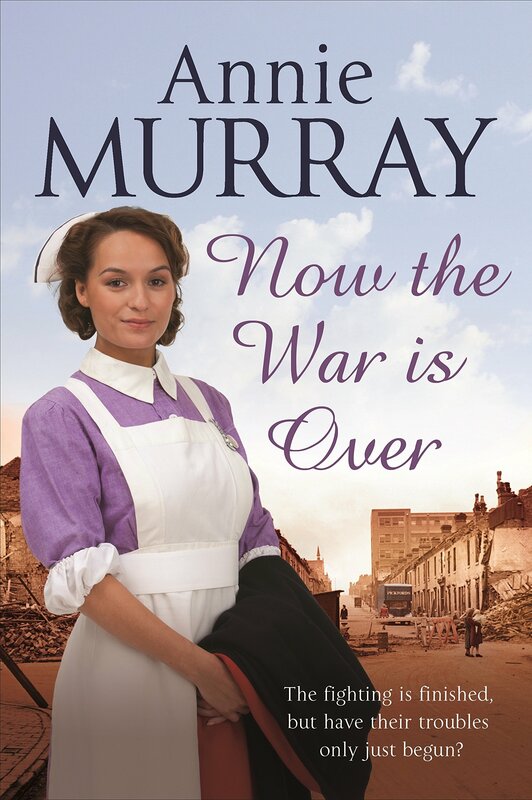 Now The War Is Over is a brilliant novel on so many levels. It is a great story; a social commentary on the time revealing the changing attitudes towards the disabled and it shows a move into a more cosmopolitan Britain. Absolutely fabulous. I cannot get enough of Annie Murray’s books.